Workplace fatalities rose in 2003 to a total of 5,559 deaths, according to the Department of Labor. Here’s a breakdown from the DOL report about the industry segments with the most deaths. The construction industry had the most deaths – 1,126, followed by 805 deaths in the transportation and warehousing sector. When the number of workers in each industry was considered, the highest death rate was in the sector of agriculture, forestry, fishing and hunting, with 31.2 deaths per 100,000 workers. Mining was next, with a rate of 26.9 per 100,000 workers. Construction’s rate was 11.7, and transportation and warehousing’s was 17.5. The most frequent work-related deaths were on highways – 1,350 last year, compared with 1,373 in 2002. Texas had 491 job-related deaths last year, earning the dubious distinction of being the state with the highest rate of increase for work-related fatalities. Texas increased by 17.7 percent in 2003, while the national number of fatalities increased by less than one percent compared to 2002. One of the other trends that the Department of Labor data indicates is that Hispanic workers died on the job more frequently than others, with a rate of 4.5 deaths per 100,000 compared to a rate of 4.0 for whites and 3.7 for blacks. We’ve posted about the high death rate for Mexican workers before. A recent disturbing report by the News & Observer of Raleigh depicts illegal practices in camps for migrant farm workers in North Carolina. When you read about the shocking and flagrant practices – it’s almost unbelievable to think such abuses occur in the United States – it’s not hard to understand why the death rate is so high. North Carolina farmers have a legal pipeline to foreign workers, known as the federal H-2A program. But the number of H-2A workers has fallen 15 percent since 2002, from about 10,000 to 8,500 this year. Growers say the rising costs associated with the program have contributed to the decline. H-2A workers in North Carolina are entitled to a wage of $8.06 an hour, workers compensation and round-trip travel reimbursement. In July, the Ohio-based Farm Labor Organizing Committee began a campaign to unionize H-2A workers. Instead, farms increasingly find workers through labor contractors. Whatever the industry, whatever the state, whatever the demographic group, it’s distressing to see work-related fatalities increase. It’s hard not to see a parallel with the “kinder, gentler” OSHA of recent years. As an industry, this is a trend we have to stop in its tracks. Twenty years ago, as I was founding Lynch Ryan, the nation’s workers’ compensation crisis was beginning to bubble to the surface. As I interviewed employers, a couple of things amazed me. First, for most of them workers’ compensation represented the biggest insurance check they would write. Second, those same employers knew next to nothing about the subject. 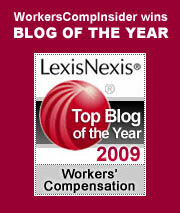 Since then, employers, insurers and legislatures, alike, have devoted much attention to taming the high costs of workers’ compensation.With the exception of a few states that remain very problematic, such as California, Texas, New York and Florida, costs around the nation have abated dramatically. Employer education and training, as well as changes in the various state laws, have caused premium rates to fall precipitously in many cases. In my own home state of Massachusetts, for example, rates have fallen nearly 68% in the last nine years. In addition, medical fee schedules, in some states, have reined in medical costs associated with workplace injuries. However, lately I have noticed, creeping into the mix, what I choose to call the “Diminishing Attention Principle,” or, the DAP. The DAP states that the attention an employer gives to workers’ compensation is directly proportional to the amount of money the employer pays for workers’ compensation. To prove the point, let me call your attention to the workers’ compensation experience modification factor. In the mid to late 1980s, employers admitted that they didn’t know much about experience modification, were mystified about the thinking behind how reserves were established and had never heard of the unit stat report. Gradually, with heavy education, employers saw how important these three very esoteric things were to their bottom lines, how they were inextricably connected. It was not uncommon for me to encounter employers who personally calculated their own mods with their basic, Radio Shack hand held calculators. Why? Because they were paying a fortune for workers’ compensation and they knew that they had to do something about it. Sadly, one doesn’t see that too often, anymore. Why is that? Perhaps the answer can be found in the normal generational changes that occur in management. Most men and women who are owning and running American companies today were not doing so in the late 1980s and early 1990s and, therefore, were not exposed to the staggering economic problems brought on by the workers’ compensation crisis of those times. Top schools, such as Harvard and Stanford, don’t devote even an hour in their MBA programs to dealing with workers’ compensation and the workplace injuries that drive its costs. So, over the next few weeks, every once in a while we’re going to go back to basics and offer some of what we consider to be the essential management best practices for dealing with the various components that ultimately determine the amount of that biggest insurance check any employer will ever write. Our first subject? The curious relationship between experience modification, claim reserves and the unit stastical report. Stay tuned. For energy workers in the United States, the cold war is nowhere near over. Why? Because the Energy Department (DOE), the Department of Labor (DOL) and the National Institute of Occupational Safety and Health (NIOSH) seem to be playing “keystone cops” with the lives of thousands of these American citizens. Hang on. This is not a pretty story. Business Insurance reports that the outlook for extending the Terrorism Risk Insurance Act (TRIA) looks positive. The bill was enacted to provide a $100 million federal backstop for insurers but it is set to expire at the end of next year. As we approach one of the primary policy renewal cycles, insurers are getting edgy about the idea of TRIA expiring. Insurance Journal reports on testimony that the Council of Insurance agents & Brokers (CIAB) made before the Senate Banking Committee last week. Albert R. (Skip) Counselman, a former CIAB chairman and president and CEO of Riggs, Counselman, Michaels & Downes, Maryland’s largest independent brokerage firm, told the Senate that the private marketplace will not be prepared to take on the full risk posed by potentially catastrophic terrorism losses by the time the law expires on Dec. 31, 2005. He noted that TRIA affects all parts of the country, and because of its enactment, the availability of terrorism coverage has grown, premium prices have dropped and nearly half of all insured are purchasing terror cover. Back in January we posted a blog about Walmart locking night shift employees in the building, ostensibly for their own safety. Now we read that a Winn Dixie supermarket in Mobile, Alabama, has been cited by OSHA for a similar activity. So far we have not had the benefit of a management explanation of this bizarre practice, but regardless of the rhetoric, it should be fairly obvious that locking employees (or contractors) in a building is a dangerous practice. In the Walmart situation, an employee with a crushed ankle had to wait hours for medical treatment – he could not get out and the paramedics could not get in. In the Winn Dixie supermarket, there was no precipitating incident. Someone probably “dropped a dime” (actually, at least a quarter by current pay phone standards). OSHA finds that the absence of exits is a “willful disregard” of safety standards by the employer. They have proposed a fine of $74,000 — in the supermarket business, that’s a lot of bananas. In the usual course of an OSHA citation, the final amount is likely to be negotiated downward, pending corrective actions taken by the employer. We are left to wonder at the thinking behind the “no exit” strategy. To be sure, it probably minimizes inventory shrinkage (otherwise known as “employee theft”). But at what cost? Employers who block exits do indeed demonstrate a “willful disregard” for the safety of their employees. These employers incur significant liabilities by placing their employees and contractors directly in harm’s way. While the goal of preventing theft is understandable, it must be achieved without putting people’s lives at risk. “The National Council on Compensation Insurance is seeking an increase in its “loss cost” rates, the direct cost of settling workers’ compensation claims like medical bills and salary reimbursements. The costs are about 70 percent of what a covered company pays. Workers’ compensation payments in Georgia hit $1.08 billion in 2002, up about 2 percent over the 2001 level of $1.07 billion, according to a new report released by the Washington, D.C.-based National Academy of Social Insurance (NASI). Both medical care and direct cash payments to Georgia workers grew in 2002. Payments for medical care increased to $517 million in 2002 from $516 million in 2001. Cash payments to workers swelled to $566 million in 2002 from $552 million in 2001. “The proposal comes as state legislators try to address a 14-year-old workers’ compensation system criticized by workers, doctors and business owners as ineffective. Past studies have shown that costs for medical treatment under workers comp can be as much as six times higher than under group health. Chiropractic care and overutilization are often pointed to as cost drivers, and Texas lacks a fee schedule. Employers are also seeking a change that would allow them to direct employees to networks. The Chronicle reports that only 23% of surveyed physicians were willing to take workers compensation cases under the current system. Recommendations include creating a workers’ comp-specific medical network that might attract more physician participation. Texas is also unique in that employers can opt in or out of the system, and it is thought that reforms that result in a physician network might provide more incentive for employers to opt in. Existing TDI regulations include the right for patients amd their physicians to request an independent review of an insurance company’s denial of medical care, as well as prompt-pay laws to penalize insurance carriers who duck contractual requirements to pay claims in a timely manner. These recommendations will be under consideration in the 2005 legislative session, which begins in January. The Senate has appointed a select committee to study the issue. The Chronicle reports that the Sunset panel’s findings will likely get heavy consideration since the panel is made up of 10 state lawmakers and two members from the public. Absenteeism among hourly workers in the automotive industry runs about 10 percent annually, about three times higher than in other industries, according to a study published this year by the Automotive Supplier Action Committee, a trade group. At some Big Three plants, absenteeism runs as high as 20 percent. The figures include vacations, paid personal days off and medical leave, but the most crippling problem is employees who just skip work. Managers must scramble to find hundreds of replacements from pools of fill-in workers to perform tasks for which they may not be trained. From Adjuster.com: “A study of workers’ compensation claims from the cleanup at the World Trade Center site after the Sept. 11 attacks found that about 90 percent of the 10,182 claims for workers’ comp have been resolved. In contrast, less than a third, or 31 percent, of the 588 volunteer claims were resolved as of June 30, 2004, the Government Accountability Office, the investigative arm of Congress, found. Business Insurance reports on a forthcoming study from Ball State University in Muncie on the effects of 9/11 on the insurance industry that states that the impact on the insurance industry was less than anticipated, partly due to the federal compensation fund. . Preliminary data from screenings conducted at The Mount Sinai Medical Center show that both upper and lower respiratory problems and mental health difficulties are widespread among rescue and recovery workers who dug through the ruins of the World Trade Center in the days following its destruction in the attack of September 11, 2001. An analysis of the screenings of 1,138 workers and volunteers who responded to the World Trade Center disaster found that nearly three-quarters of them experienced new or worsened upper respiratory problems at some point while working at Ground Zero. And half of those examined had upper and/or lower respiratory symptoms that persisted up to the time of their examinations, an average of eight months after their WTC efforts ended. In addition, more than half of the Ground Zero workers who were examined had persistent psychological symptoms. (via Pulse). Claims Journal features an interview with Marsh & McLennan Companies Chairman and CEO Jeff Greenberg reflecting on the lingering aftermath of the loss of 295 employees in terms of both the human and the business impact. Many in the insurance industry still grieve over the loss of cherished colleagues at AON, Marsh, and other firms on September 11, 2001. We respectfully remember these and all the victims of that sad day. What a wonderful response to the senselessness of the day this seems. If there was any solace to be had in the days following this tragedy, it was in the courage, caring, concern, and kindness that neighbor showed to neighbor — if only we could sustain some measure of that kindness every day. It occurs to me that because most of the day’s deaths occurred while people were at the everyday business of their jobs, perhaps one tribute that many of us who work in insurance-related or risk management fields could make would be to devote a day to making workplaces safer. Thankfully, terrorism isn’t an every day occurrence for us, but on-the-job deaths are. What more fitting tribute to our colleagues and other workers who died while doing their jobs? I think this One Day’s Pay idea has merit.